Six months later and it’s time for another Retro Challenge. This time around, I’m going to do a bit of a hardware project. The state of Atari 8-bit emulation is really good – even down to running real SIO hardware on the emulated machine. But there’s one piece missing. 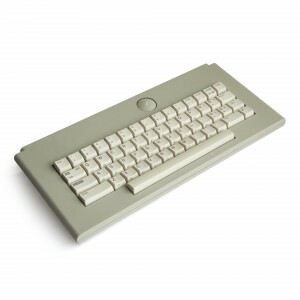 A PC (or Apple) keyboard isn’t the same layout as the original Atari keyboard. I’m going to take Atari’s only 8-bit separated keyboard and build a USB adapter to allow it to be plugged into a PC and be used on one of the many Atari emulators out there. The keyboard I’m talking about is the one that came with Atari’s last 8-bit computer, the Atari XE Game System. The XEGS keyboard separates from the XEGS main system, and has a 15-pin connector, with some of the decoding circuitry inside the keyboard. I’m going to interface this with a micro controller with a USB HID interface that I can make look like a PC keyboard to the USB host. This should be simple enough to fit into the next 31 days. Here we go!